Biocompatible dentistry is an approach to dental care and oral health that focuses on the connection between the health of the mouth and overall wellness. 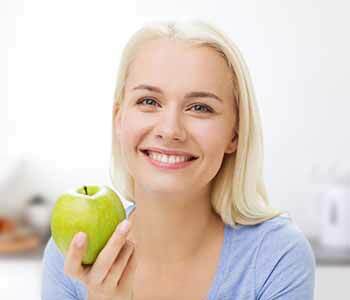 Rather than isolating and treating individual symptoms, we look at oral health as an integral part of total wellness. Conditions that begin in the mouth can impact other organs in the body, and conditions impacting other organs can also impact the health of the mouth. 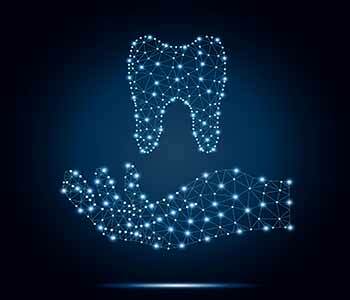 Knowing and understanding these connections is extremely important when it comes to a biocompatible approach to dentistry. These connections allow us to diagnose and treat oral health conditions to improve how a patient feels overall. At Safe Dental Smiles in Burr Ridge, IL, we practice a biocompatible approach to dentistry because we believe that the condition of the mouth is directly connected to overall physical and emotional health. We focus on helping our patients’ complete health through our comprehensive services and prevention education. Our goal is that all our patients have a deep understanding of how nutrition, oral hygiene, and genetics all play a role in health. When you come to Safe Dental Smiles as a new patient, we start off by gathering a complete medical history along with an oral exam. This allows us to learn about any problems you have had in the past, evaluate your current oral health, and come up with a plan for preventing future problems. We provide dental care to our patients that focuses on alleviating pain, improving the appearance of the smile, and achieving a healthy, stable smile well into the future. At our Burr Ridge office, we use only safe, biocompatible materials in all our treatments, avoiding any harmful substances that could have a negative impact on the body. We do not place amalgam fillings due to the mercury content. Over time, these fillings expose the patient to mercury neurotoxins that can impact overall health. For patients with existing amalgam fillings, we practice safe removal techniques that will eliminate the negative health effects of the fillings while also protecting the patient, staff, and environment during the process. All the materials used in our treatments are done so thoughtfully, to ensure that your smile is healthier and stronger than it was before treatment. While biocompatible dental care is the focused approach of our practice, we also offer cosmetic dental services which are extremely effective at improving the appearance of the smile while also improving oral health. We offer professional teeth whitening, which is one of the easiest and most popular ways to erase years of stains and dramatically enhance the appearance of the teeth. We can place dental veneers, which are ultra-thin porcelain shells that are used to improve the appearance of teeth that are cracked, chipped, permanently discolored, or improperly spaced. We also offer Invisalign, which is a discreet and effective way to straighten crooked teeth for a more attractive, healthier smile. Education is a big focus of our practice. We encourage our patients to be aware of their oral health and how it can impact the rest of the body. Conditions such as tooth decay or gum disease originate in the mouth, but over time they can lead to an increased risk of other systemic health issues such as cardiovascular disease, diabetes, stroke, pregnancy complications, or oral cancer. Our team will work with patients to help them understand how certain lifestyle factors impact oral health and how patients can improve their oral hygiene routines and nutrition to improve total wellness. Whether it’s recommendations for certain dental services or nutritional / lifestyle guidance, we’re here to help. The goal is for all our patients to enjoy a smile that is beautiful and healthy. At Safe Dental Smiles, we are committed to providing comprehensive, biocompatible dentistry services that are based on the oral-systemic connection. Our mission is to improve the dental-physical balance, so our patients can enjoy a healthier life. If you are in Burr Ridge, IL or the surrounding communities, please call Safe Dental Smiles today at 630 756-5844 to schedule an appointment.